This is one of the designs Pandora's Boxes was asked to supply to the production of the drama series Downton Abbey. 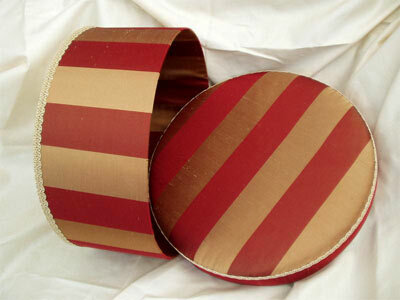 Stunning red and gold, a combination known as "Raj" stripes; it fits the opulent Downton Abbey surroundings. 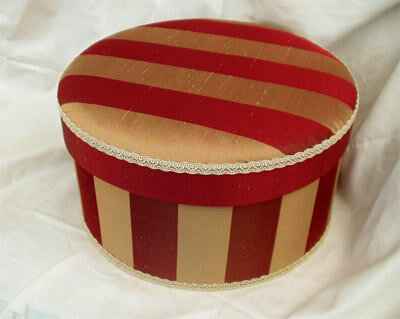 This design would also suit a contemporary room style with the simple striped design and a softly padded lid.